It is our privilege to accompany those who are experiencing a difficult time of loss and we seek to offer as much support as we can at this time of need. A Church of England-led funeral is available to everyone – regardless of whether or not they go to church – giving support before, during and after the service, for as long as it’s needed. 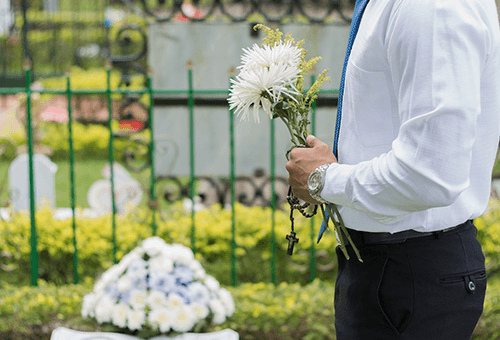 Normally a funeral director will offer those who live in the Uxbridge Parish, a service in either St. Andrew’s or St. Margaret’s or at one of the nearest crematoria conducted by the clergy or a licensed reader from the ministry team. Sometimes a family wishes to hold a service in the church and then have the committal at the crematorium or cemetery. In each case we seek to meet the family’s requests as far as possible. The funeral director will liase with the church and a meeting is arranged by the minister with the family to discuss all the details and offer comfort and help. Families are also remembered in prayer at our services and in our daily prayers across the parish. Whether any children will be present at the service and if they need any special guidance and support before and during the day. It is possible to have recorded music should you wish to provide a special song or piece for the church or crematorium. There is no need to have any answers to the above as we are there to guide you through the service offering as much help as you need. In November there are two special opportunities where we remember loved ones who have died. At 8pm on All Souls’ Day (2 November) here at St. Andrew’s Church we hold a service where the names of those who have died are read out. Everyone is welcome at this service. If you would like a name read out at this service please email Lesley, our parish administrator. On Remembrance Sunday at 4pm, we invite families to our annual Parish Memorial Service to remember and give thanks for lives of those we have loved and lost. This is a very sensitively led service in which there is an opportunity to light a candle of remembrance. Afterwards a light tea is served and there is time to talk if it is helpful. This service is held at St. Margaret’s Church. Please email Lesley, our parish administrator for further details.